Introducing, Camp Bow Wow Diablo Valley! 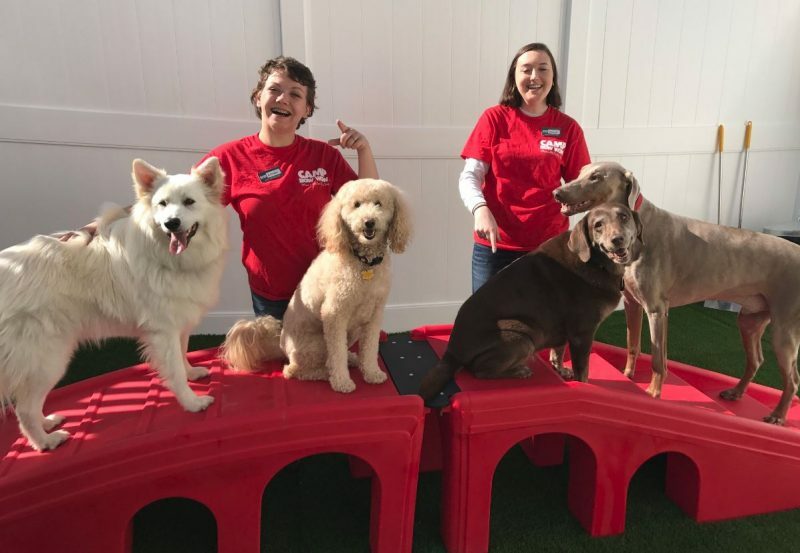 As some of you may have heard, we recently opened a brand new Camp, right smack in the heart of Concord, California — and we’ve been having a tail waggin’ good time ever since! The new Camp, located at 1395 Galindo Street in Concord, features 87 cabins, eight teacup condos and two luxury suites — all queued up and ready to service all the furry friends in the area. Camp Bow Wow Diablo Valley is managed by Camp Director and dog lover, Veronica Subramanian. In tandem with both day care and overnight boarding accommodations, the Camp also boasts large indoor and outdoor play areas, dog pools and other outdoor play equipment, comfy cots in a climate-controlled atmosphere, live webcams so pet parents can watch their pup from anywhere on their computer or smart phone, and of course, the love and care of our certified Camp Counselors! For those Campers who need some special attention, Camp Bow Wow Diablo is also offering our Behavior Buddies dog training program as well. We truly could not be more excited to welcome Doug, Doreen and the rest of their doggone great team to the Camp Bow Wow family! Not only are we happy to expand the Pack into the greater San Francisco Bay area, but we’re also confident that they’ll serve as great representatives of the brand and deliver our promise of happy, healthy pets and happy, healthy people!